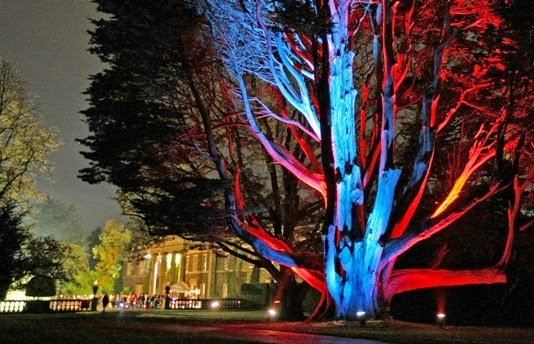 The historic house has some of the most interesting gardens in Northern Ireland and an extensive exhibition of ancient relics and artwork.The influential Londonderrys were part of the golden circle of their day and, when Edith came to Mount Stewart in 1919, she set about transforming what she saw as a dark and sad ancestral home into a sumptuous setting for entertaining guests like Winston Churchill and Harold Macmillan. Within the 80 acre 19th century garden with its lake and specimen trees, a series of intricately designed and brilliantly planted formal gardens were laid out around the house at a time when garden design had reached an exquisite peak. Offering beautiful contrasts of mood, the gardens move from the geometric parterres of sizzling reds, yellows and oranges on one side of the Italian garden and silvers and mauves on the other, to the cool greens and curvaceous design of the Spanish garden with its circular pool overlooked by a pantiled loggia and screened by arches of clipped leylandii. There are touches of pure whimsy in the Dodo Terrace, where stone carvings represent the animal characters given by Edith to members of her Ark Club such as: Winston the Warlock and Harold the Humming Bird. The silver and white planting in the circular Mairi Garden,named for Edith’s youngest daughter echoes the rhyme “Silver bells and cockle shells”, in this case with campanulas, agapanthus, stachys and Perovskia ‘Blue Spire’. Gertrude Jekyll contributed the design for the earliest garden in the series, known as the Sunken Garden, and planted it with a wonderful combination of blue, purple, yellow and orange. A ‘Red Hand of Ulster’ in the Shamrock Garden side by side with an Irish harp is surrounded by yew hedges clipped into the shape of all manner of creatures from deer to devils. Beyond this area the garden merges into informality, towards the Lily Wood where tender trees and shrubs prosper in the micro climate of the Ards Peninsula. There are unforgettable displays to be see, not only of lilies but of colonies of Himalayan poppies. The paths winding around the lake offer a dreamlike view of the hill topped by Tir Na n’Og, the Londonderry’s private burial ground, which is planted with exotic shrubs some of them fruit of plant hunting expeditions subscribed to by Lady Edith. Elsewhere in the 78 acres of grounds are the Coronation Walk, rhododendron glades with of the aristocracy of the rhododendron family R. sinograndeand falconeriand many others, and the Jubilee Walk planted in 1935 for George V’s Jubilee. Not to be missed is the Temple of the Winds, designed by James ‘Athenian’ Stewart in 1780; based on the Tower of Andronicus Cyrrestes in Athens, it looks out over Strangford Lough. 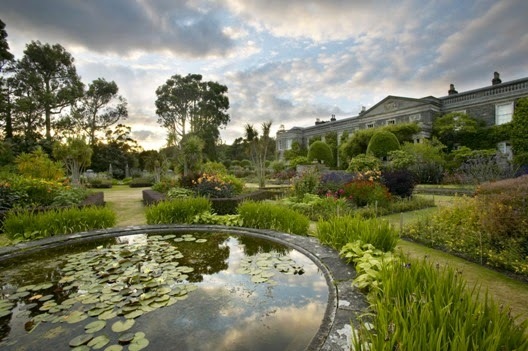 The Mount Stewart House, Garden and Temple of the Winds is a popular destination to relax in a natural setting. Tour the huge mansion and eight-sided temple, stroll through a Mediterranean-style landscape and see art and relics of a bygone time. Spot seals on nearby Strangford Lough and other wildlife, such as badgers, in the woods of the estate. This 18th-century estate was once home to the Vane-Tempest-Stewart family but is now a National Trust property.Stroll around the expansive garden, which is divided by hedges into “rooms.” See plants from the Mediterranean around the lawns, the Irish flora surrounding the house, and plants from all over the world in the wooded areas. Tir na nOg', the family burial grounds, are situated near the swan-filled lake. Visit the Mount Stewart House to learn about the history of the socialite family. The house contains over 2,500 historic artifacts, famous artworks and family memorabilia in a fascinating permanent collection. Join a guided tour to find out more about the mansion’s history.Take your time to browse the vast collection of 18th-century art, with some world-famous pieces to be found, and see the unusual design of the octagonal Temple of the Winds.Visit the Lookout, a wildlife interpretation center with information about the animals that inhabit the grounds. See if you can spot badgers and red squirrels and use the telescopes to look out for birds and seals. 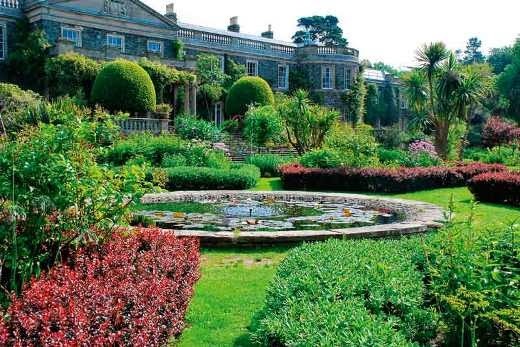 While the gardens are an excellent location for a picnic, the estate is also home to an award-winning restaurant, open daily.Mount Stewart House, Garden and Temple of the Winds are located on the Ards Peninsula, about 16 miles (26 kilometers) east of Belfast and can be reached by car and bus. Free parking is provided, but you pay an admission fee to enter the grounds. The gardens are closed on Christmas Day and Boxing Day.